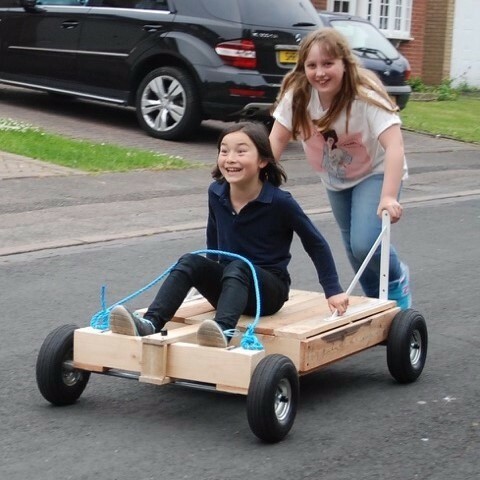 "Good clean non-techy fun. 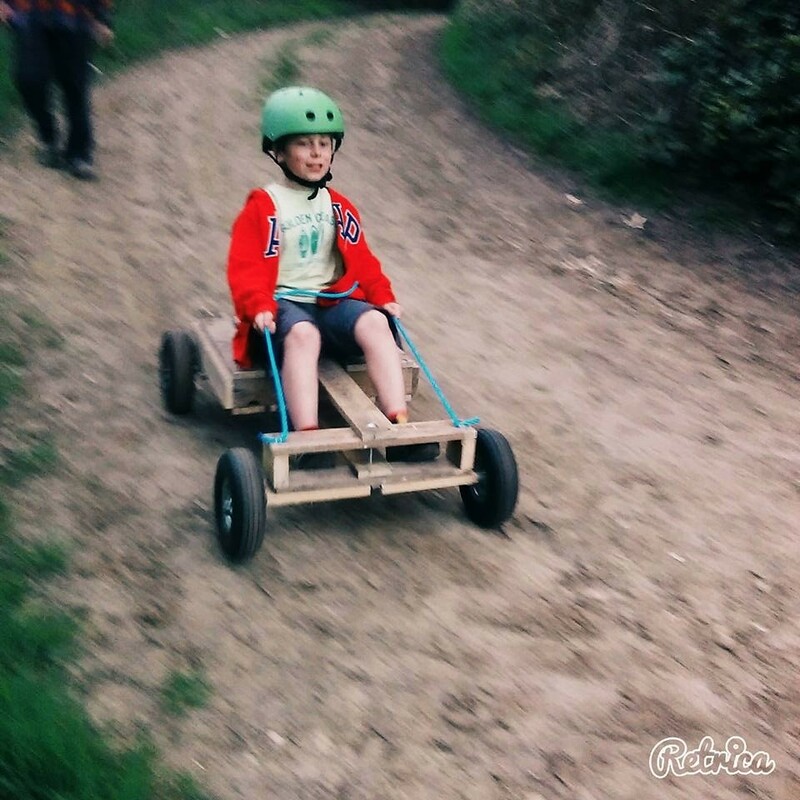 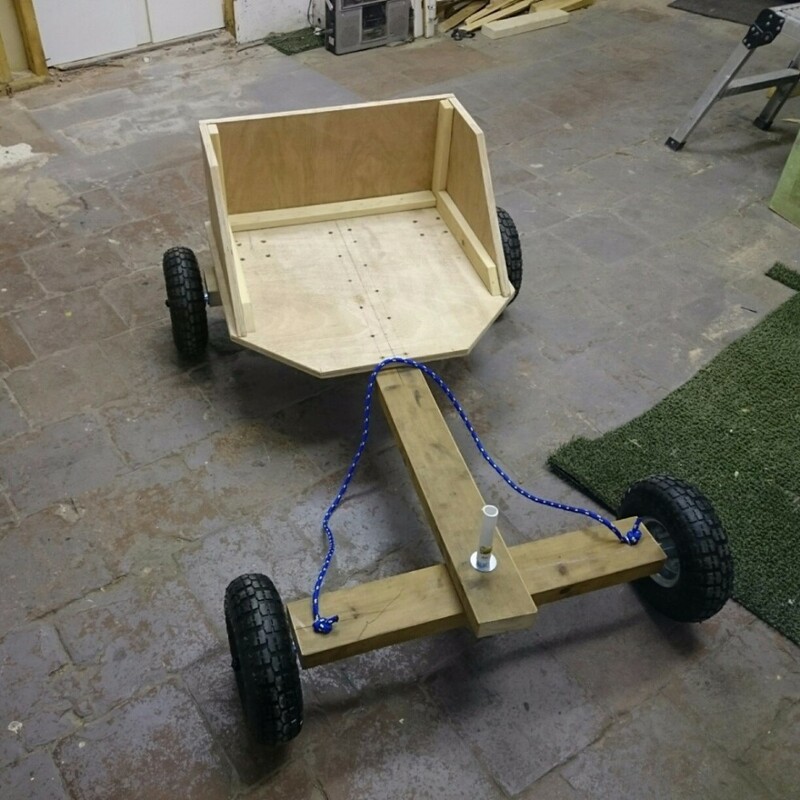 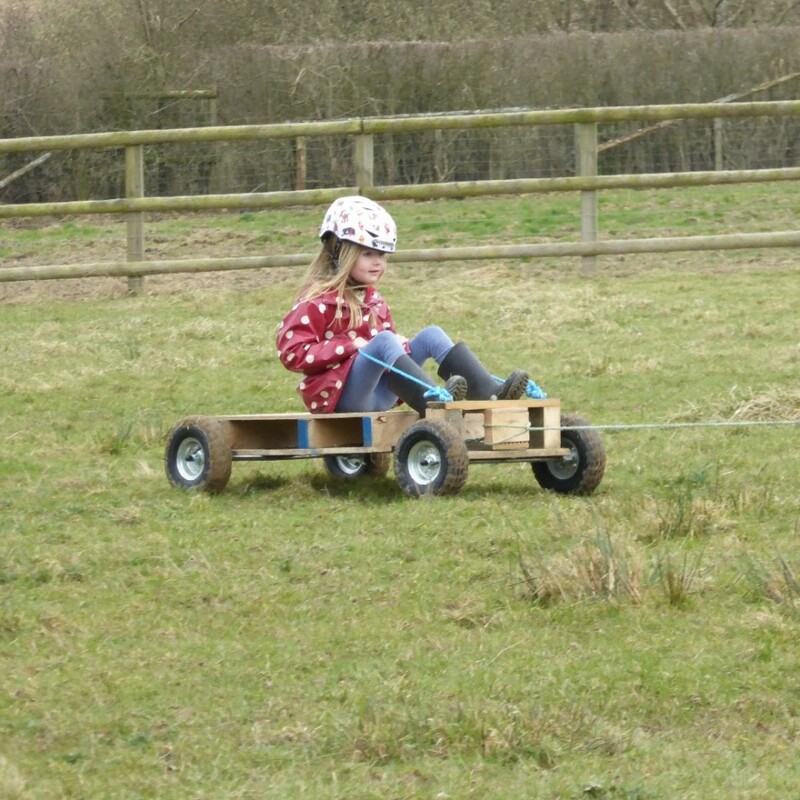 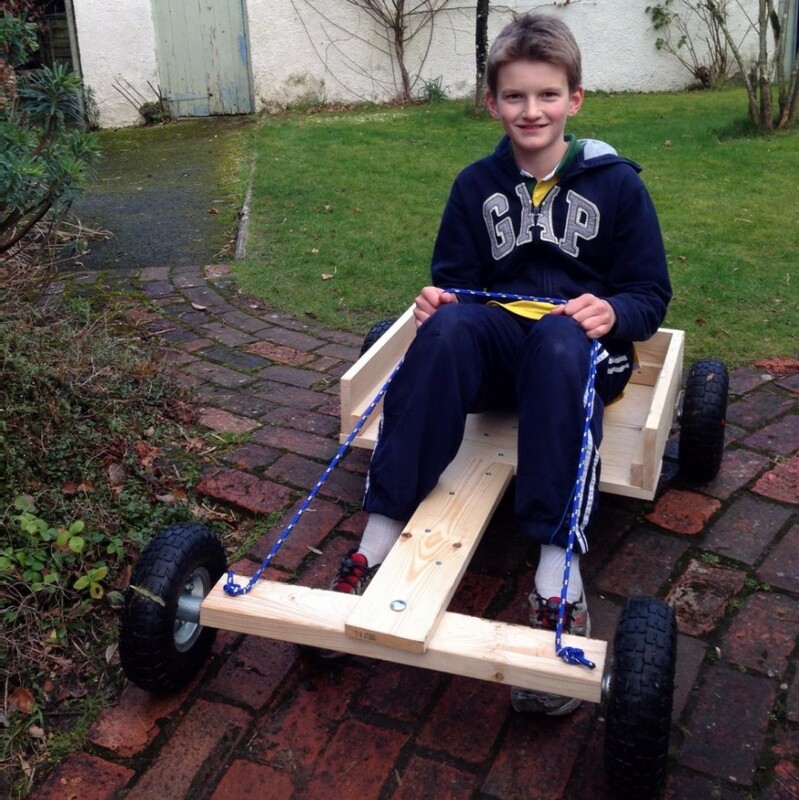 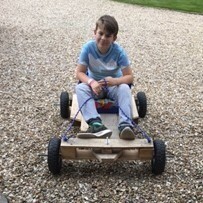 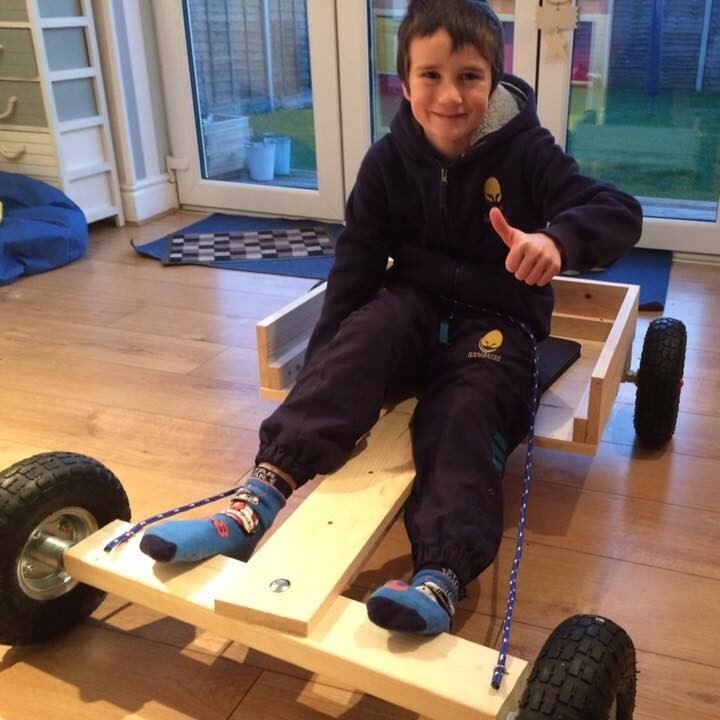 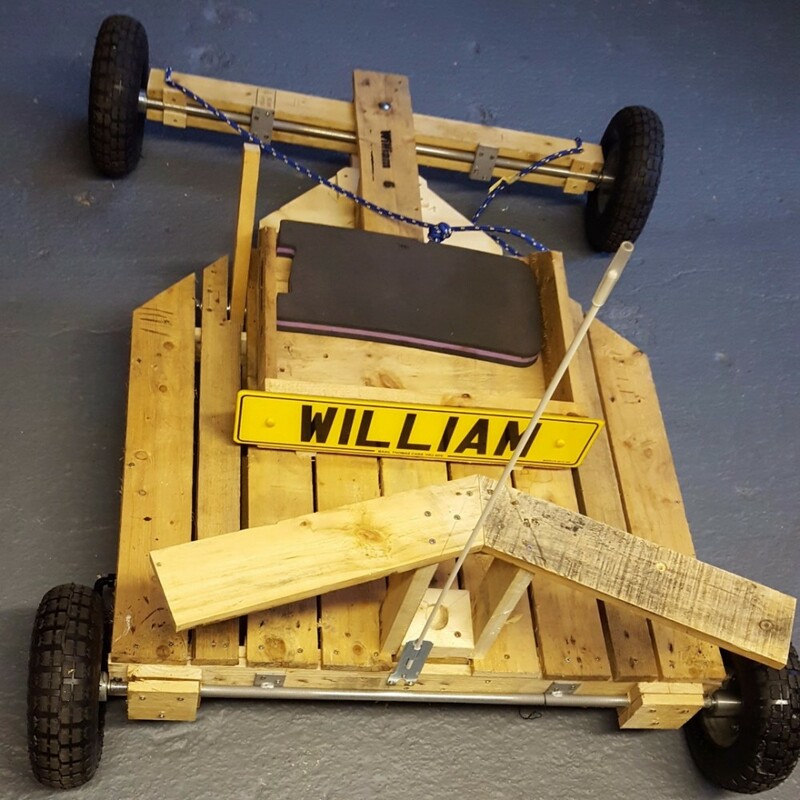 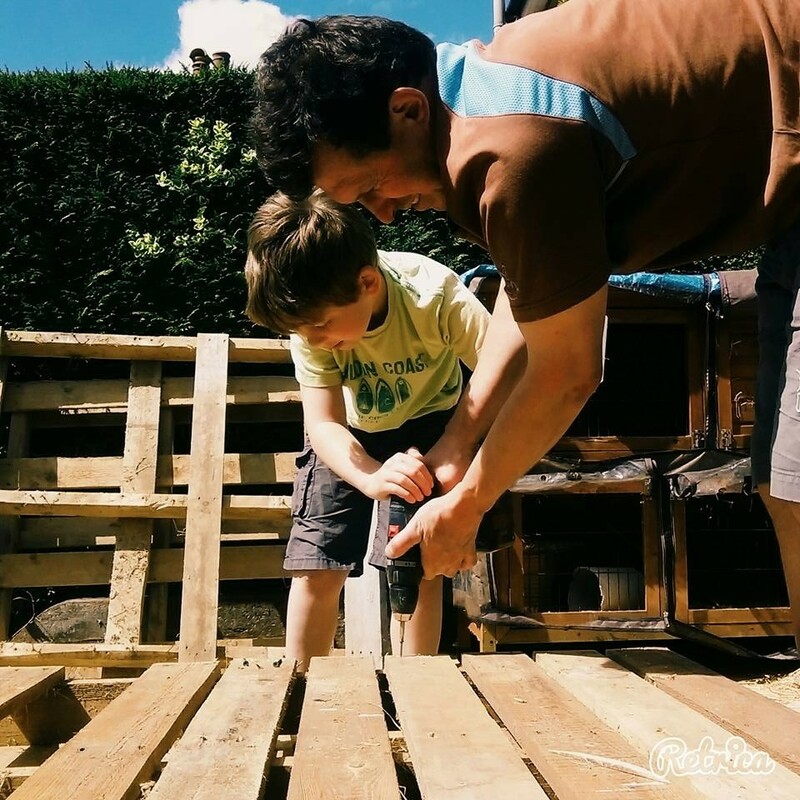 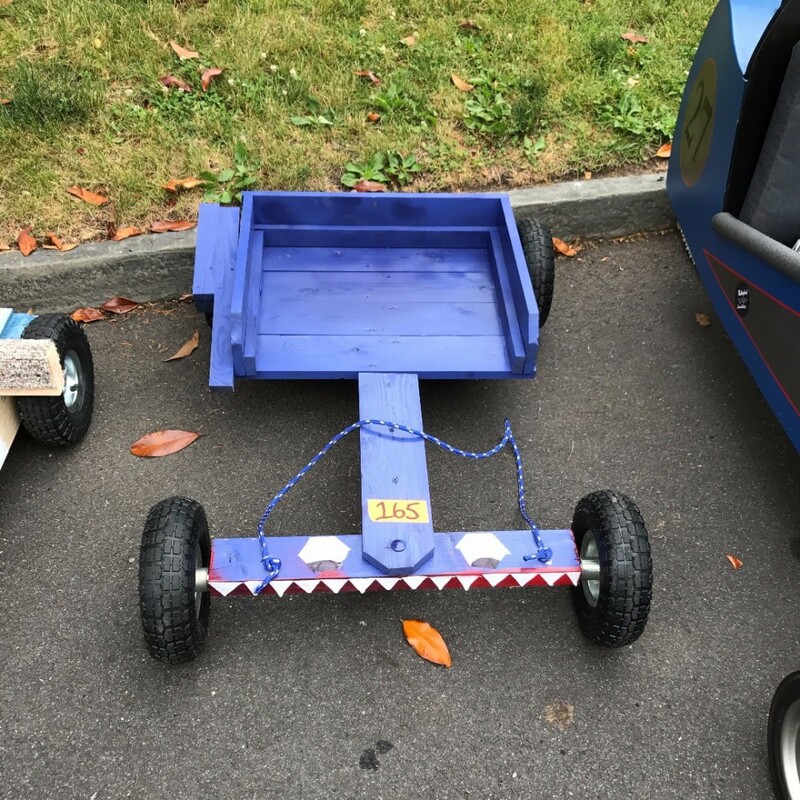 The best thing I have bought for a long long time"
Build a traditional wooden go kart just like the soap box and pram wheel karts you built as a kid... only much sturdier! 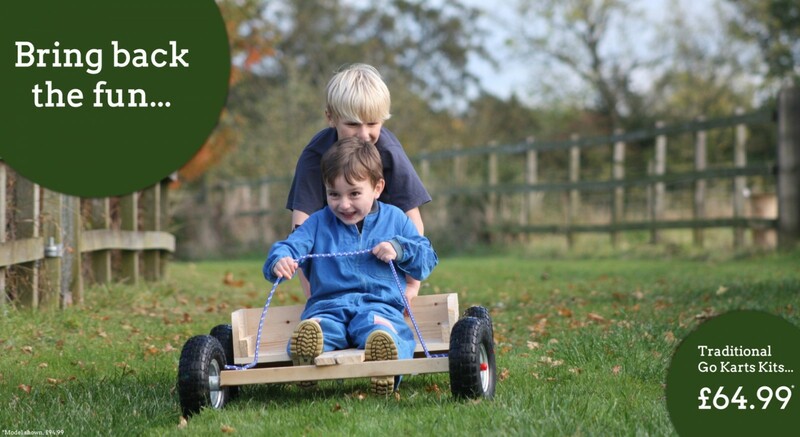 All kits are CE marked and safety tested with modern innovations like brakes and steering limits to ensure the fun doesn't end in tears. 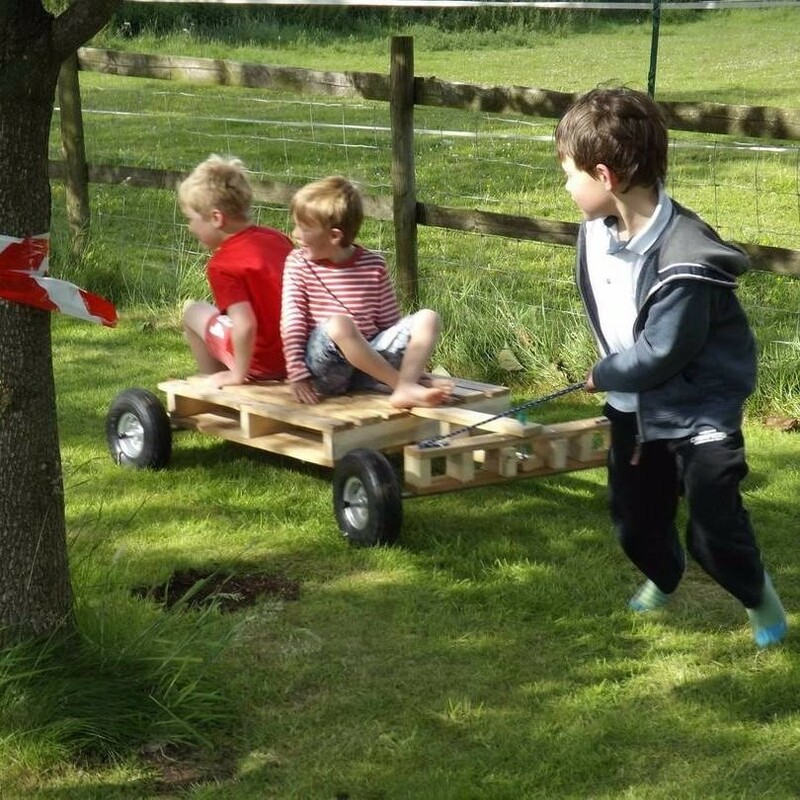 Colour instructions and detailed models guide you all the way to the start line. 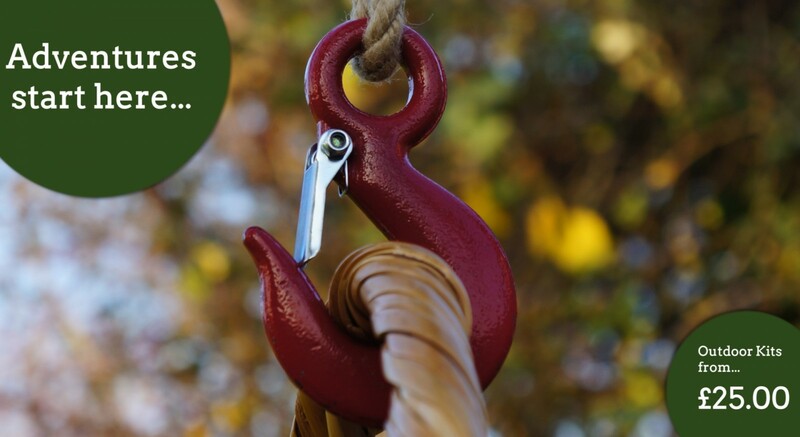 If you do get stuck just give us a call and we'll be happy to help. 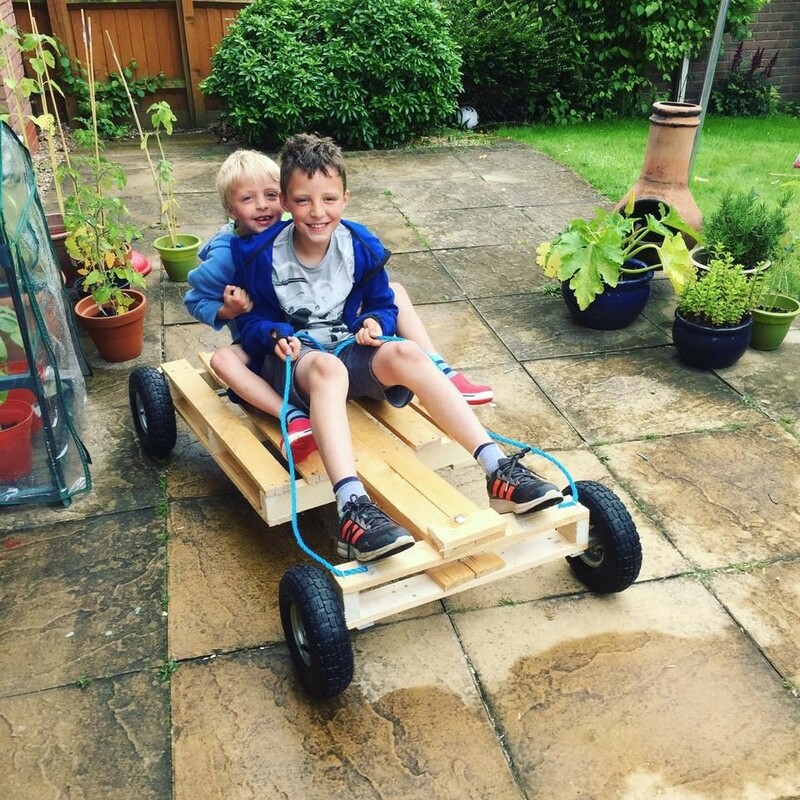 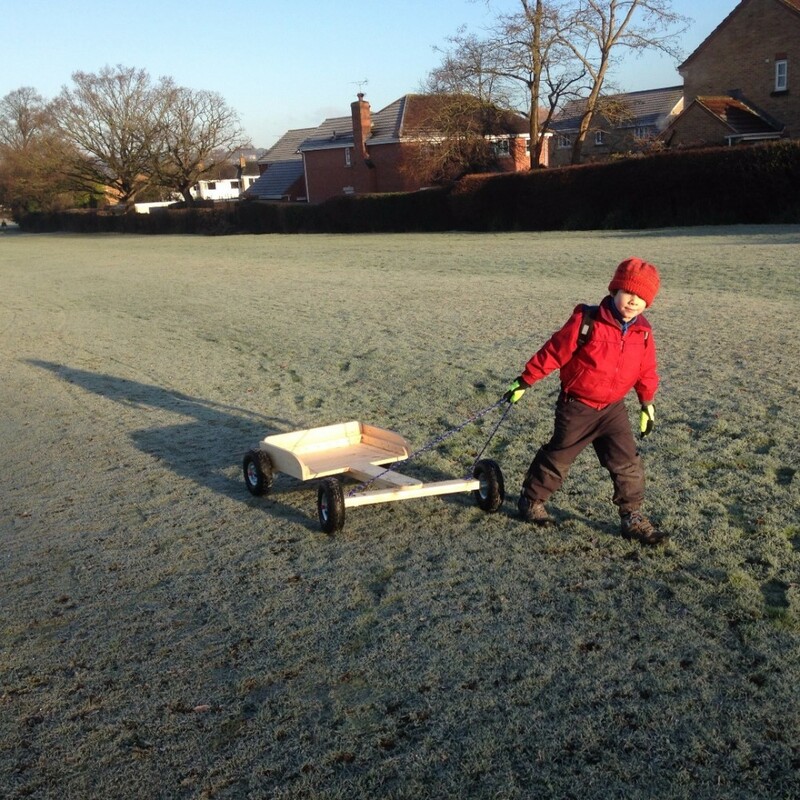 "My son loves his go-kart creation (so does dad!)" 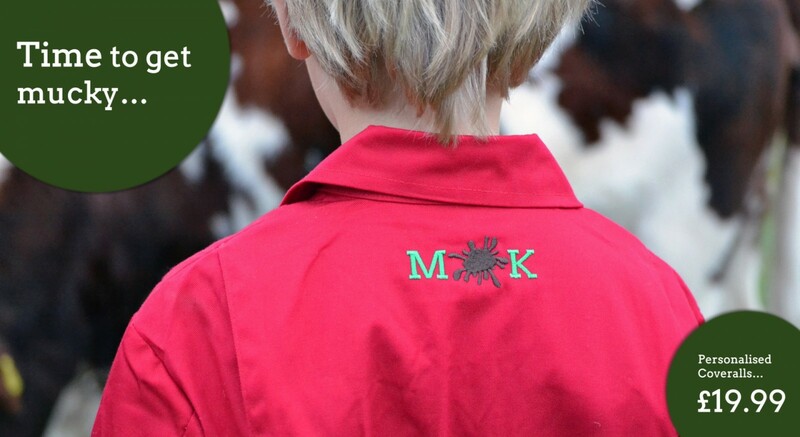 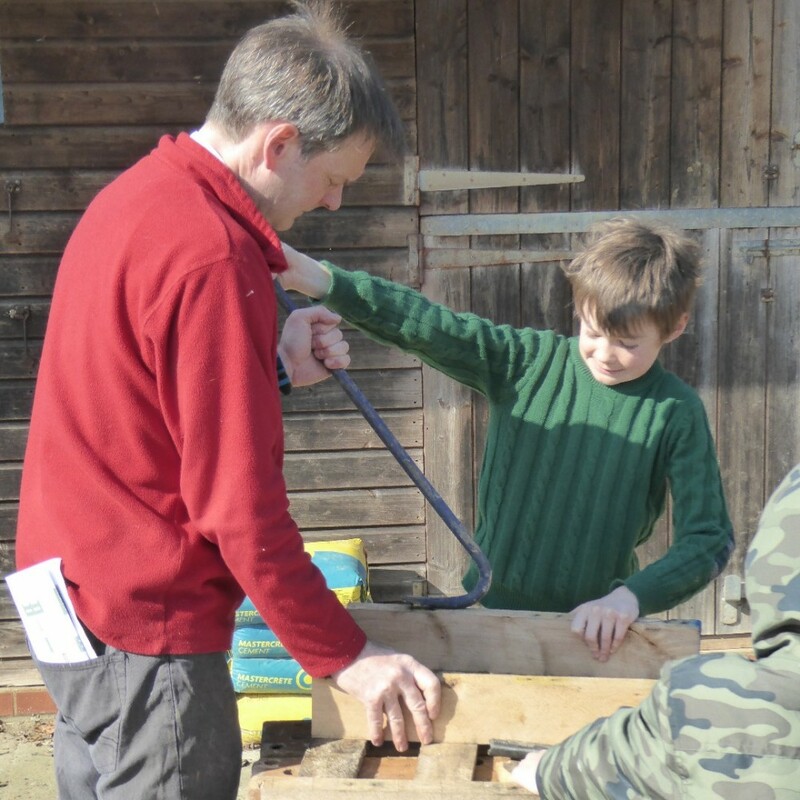 "SO easy to put together"
"The kit really couldn't have been better"
"Great idea and fantastic afternoon's activity!" 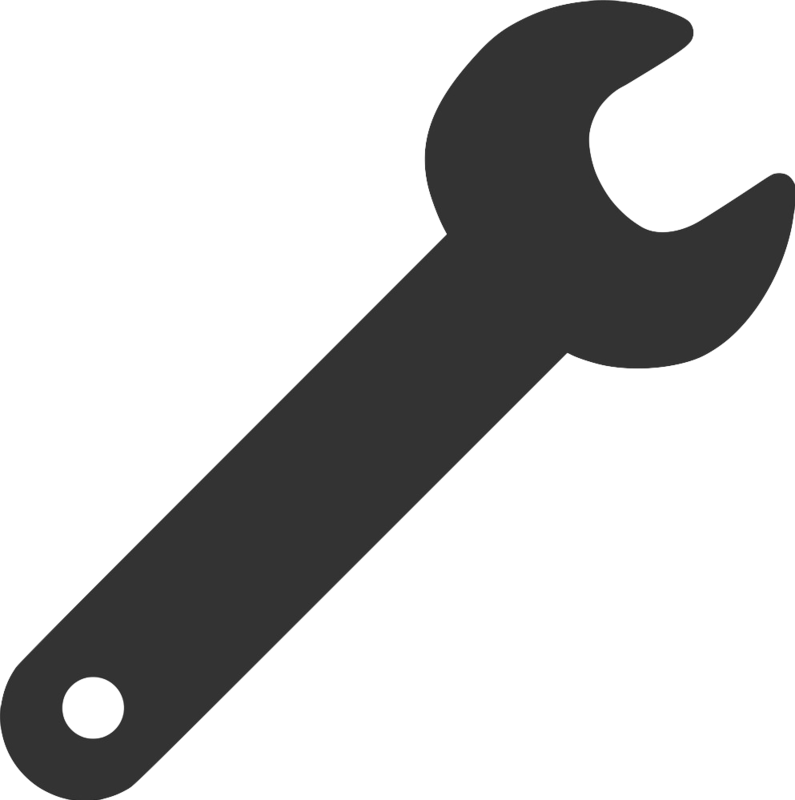 "Very professional and friendly. 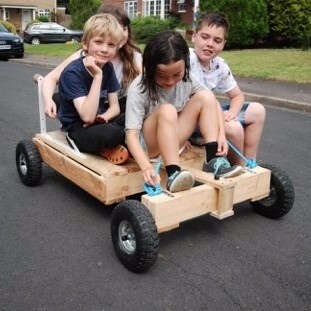 Good service"
"£5000 raised for Birmingham Children’s Hospital"
"Excellent low-tec, old school fun"
"Gareth pretty much built this on his own"
"Thanks for such a great idea, you're a lifesaver"
"Thanks for bringing back the old fashioned fun"
"Such a cool birthday present"
"All the kids in the neighbourhood pile on too"
"Brilliant and classic outdoor fun!"